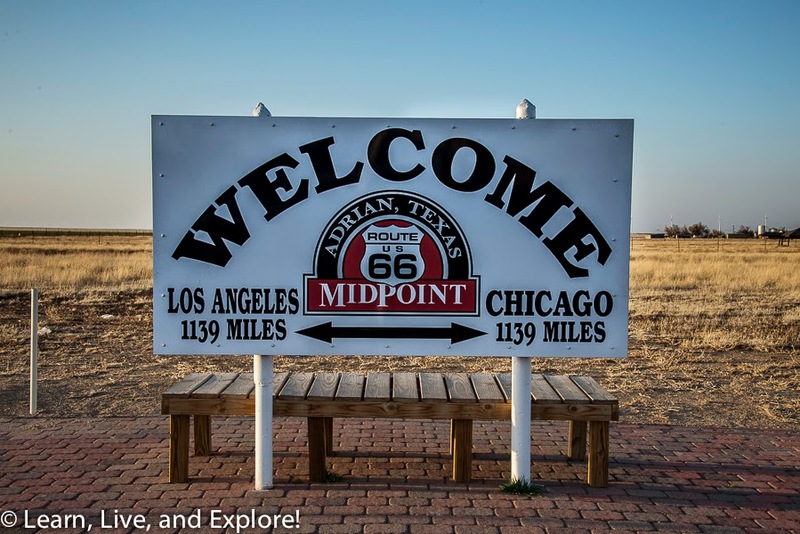 Route 66 Kicks: Day 2....Joplin to Tucumcari ~ Learn, Live, and Explore! After knocking out one day of serious driving from Chicago, Illinois to Joplin, Missouri, Day 2 of Route 66 was going to be another doozy! Passing over the Missouri/Kansas border, the part of the road in Kansas was just under 13 miles, but it had a lot to see. 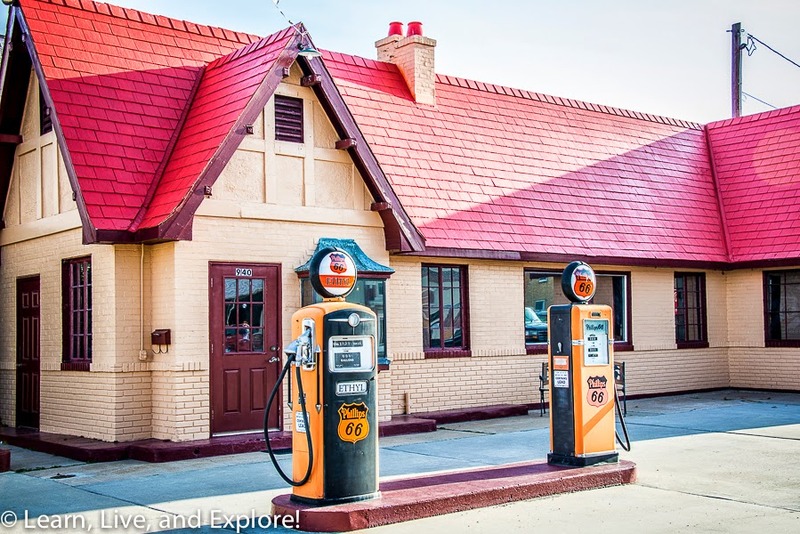 Adding to my list of old gas stations, the Independent Oil Gas Service Station is a great example of the typical 1930s style home-like gas stations, designed to comfort weary travelers. 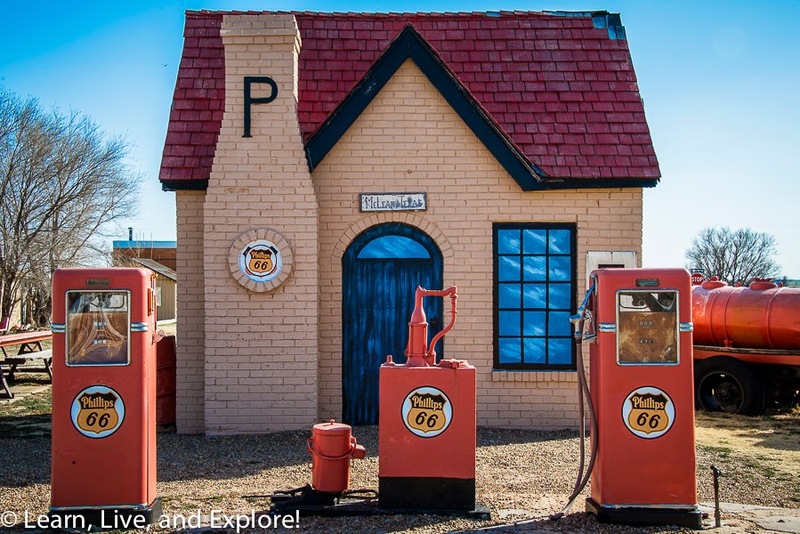 You can find the classic station at 940 Military Avenue, and you will also find a Route 66 Visitor's Center there. 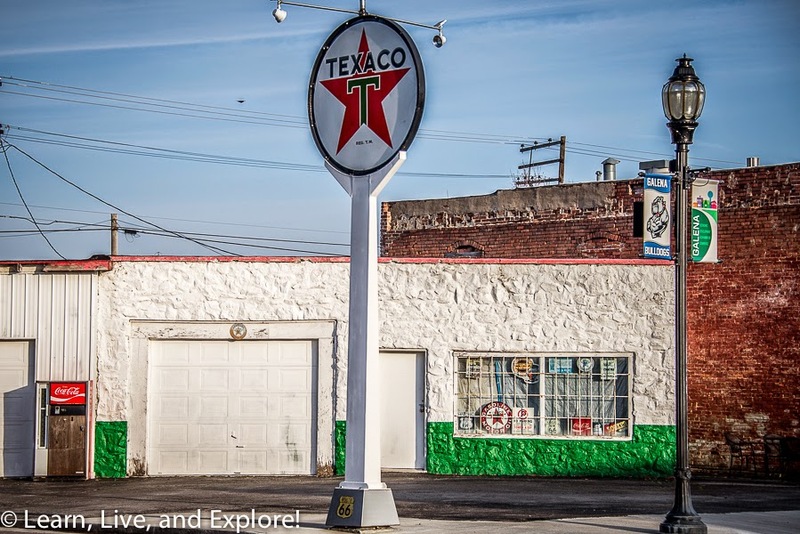 Across the street, make sure to check out the giant vintage Texaco sign. 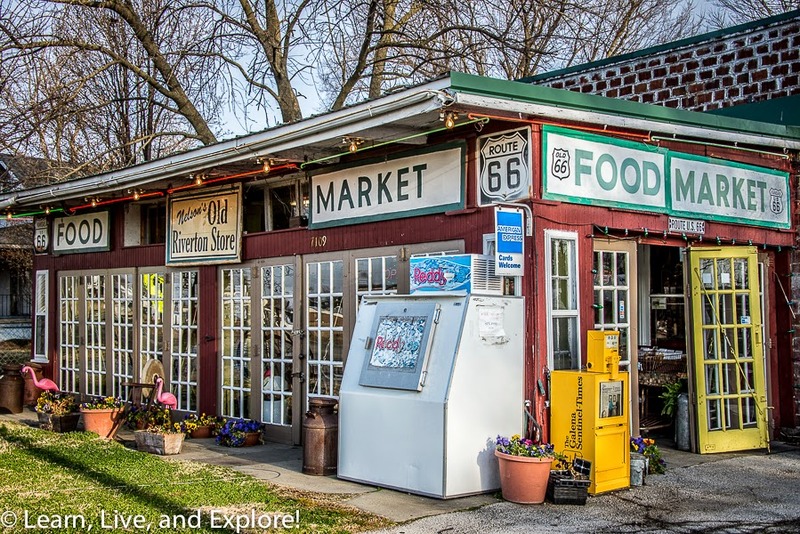 This old grocery store has been on Route 66 since the beginning. It still sells groceries, so it's a great place to stock up on snacks. Conveniently, part of the store has shifted into a place to get Route 66 souvenirs. The Rainbow Curve bridge was constructed in 1923 over Brush Creek. 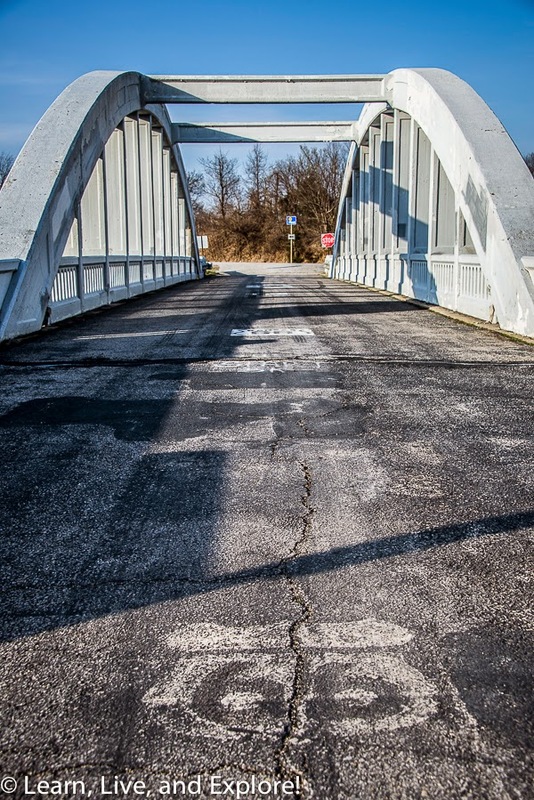 It is the only remaining Marsh "rainbow" arch style bridge on Route 66, made of reinforced concrete and designed by James Barney Marsh. 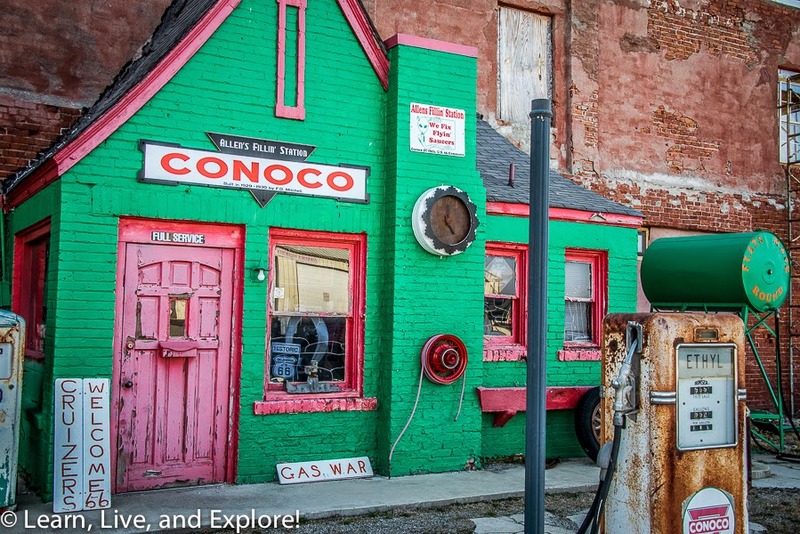 And here we have another service station, well it was a Marathon Oil service station at one point in its life. Now the structure on 100 Main Street is a Dairy King snack shop. 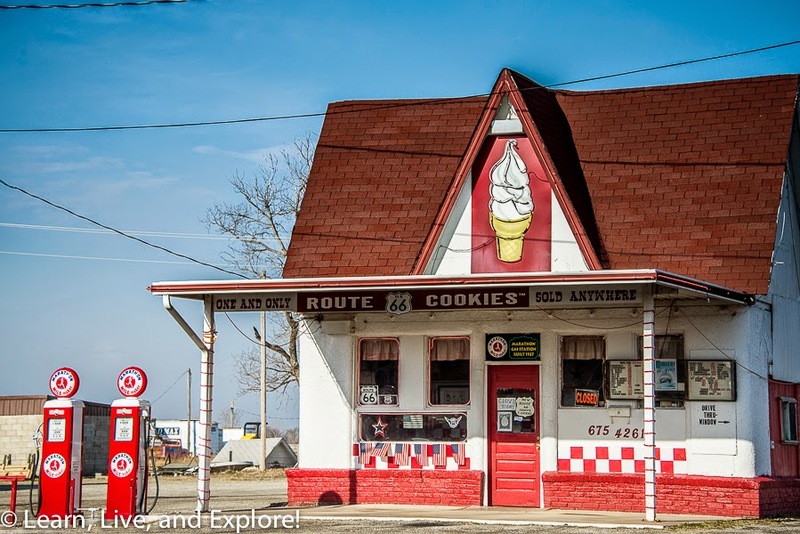 Make a 180 degree turn from where you are standing at the Dairy King, and you will see Allen's Fillin' Station, a vintage 1930 "cottage style" gas station that looks like it is built into the building wall. 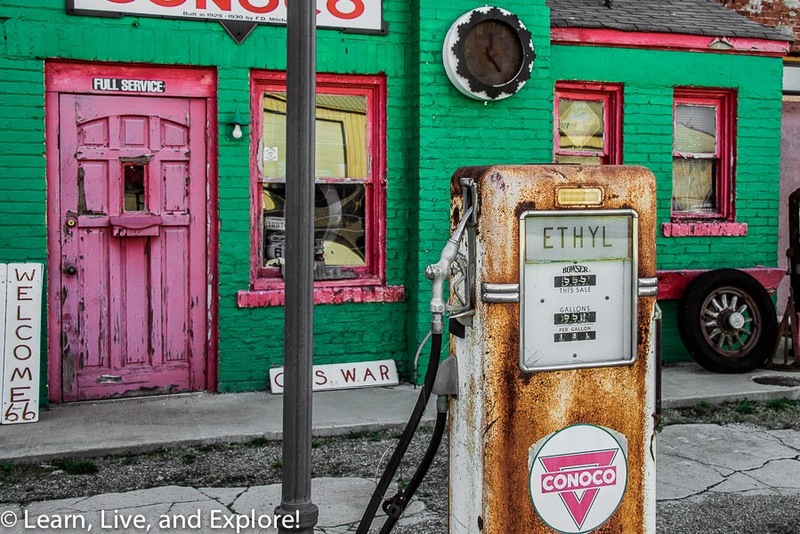 Along with Gary's Gay Parita gas station outside of Springfield, Missouri, this was one of my top places to photograph along Route 66. 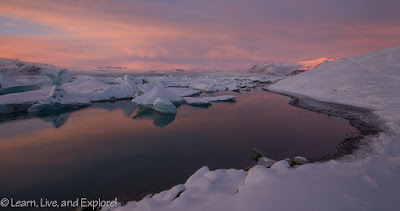 The colors are magnificent, and if you pump up the contrast, it is a really compelling shot. 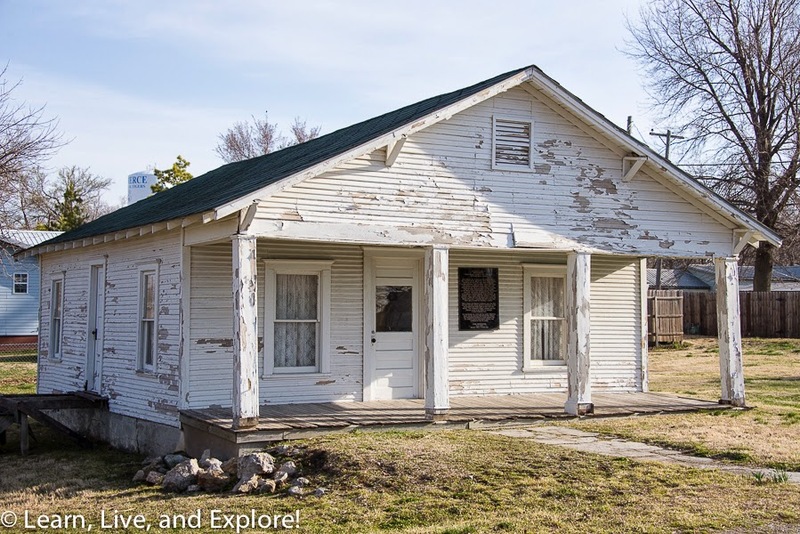 While in Commerce, Oklahoma you would be remiss if you were to not visit the childhood home of its most famous resident, baseball great Mickey Mantle. The house is located at 319 S. Quincy Street. 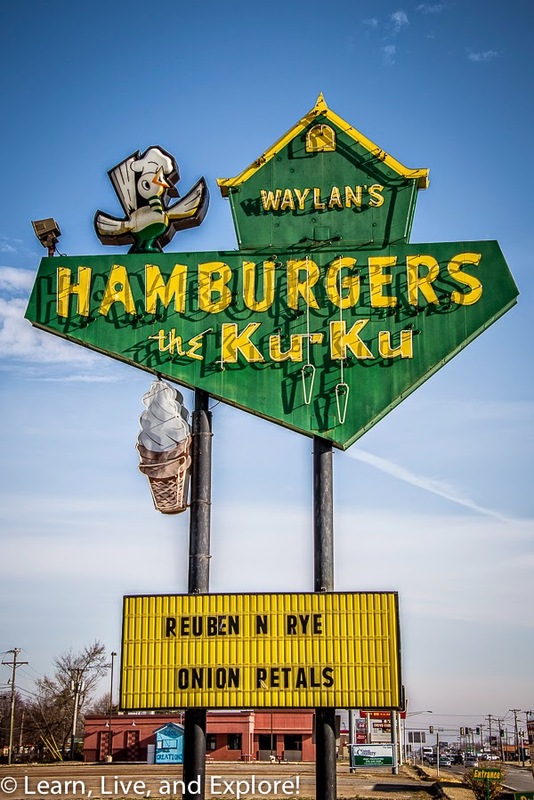 Waylan's Ku-Ku Burger is a Route 66 classic eatery, distinguishing itself with its large yellow cuckoo bird on the building. 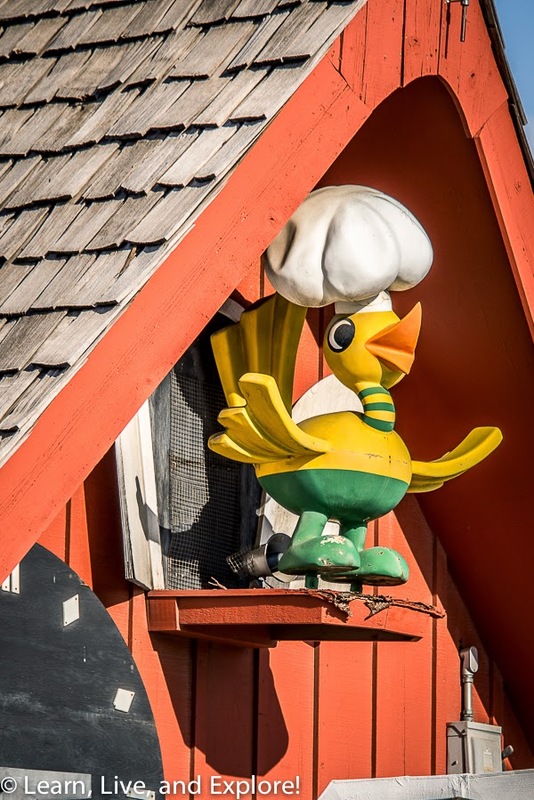 This is actually the last remaining Ku-Ku restaurant out of a chain, started in the 1960s, that once numbered 200. You can find this bright red building at 915 Main Street. 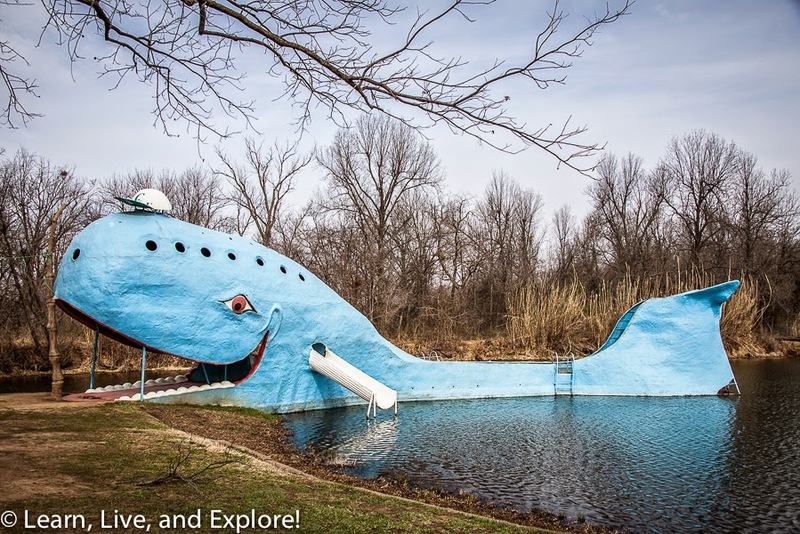 When I saw this giant blue whale off the side of the road, I was reminded of my own childhood: going to the local swim park on the lake, swimming and hanging out with friends. The whale play structure was built in the early 1970s and has slides and ladders to enhance the pond's swimming experience. Back in its heyday, the whale was part of a larger park entertainment facility, the Fun and Swim Blue Whale and Animal Reptile Kingdom. The official address for the pond is 2680 Oklahoma 66. 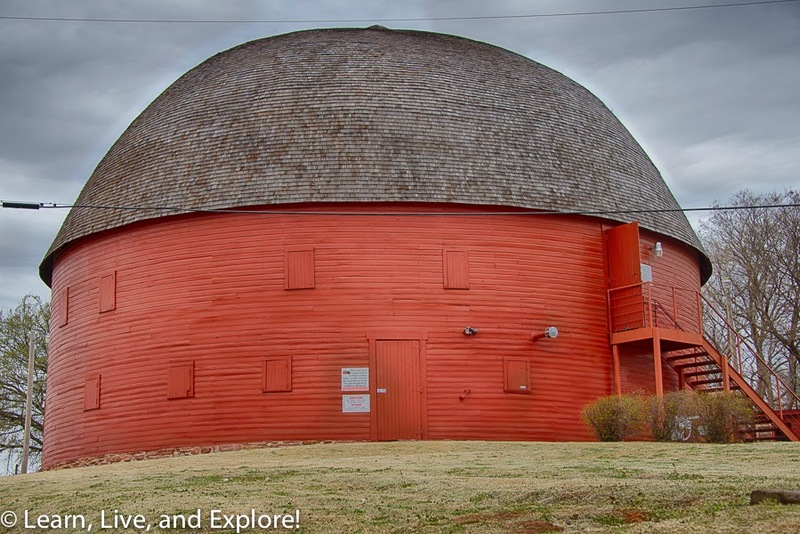 Built in 1898, after an extensive process of curving all of the pieces of wood, this round barn is one of the most interesting structures along Route 66. Enter in 107 Oklahoma 66 into your GPS, and you should be able to easily find this famous barn. 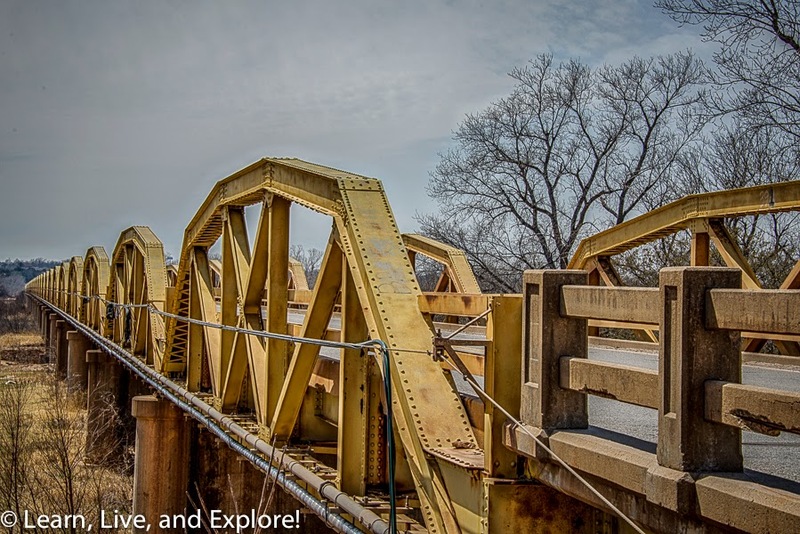 This bridge got its name from the 38 pony, or small, trusses that were used to create its long, approximate 3/4 mile span over South Canadian River. 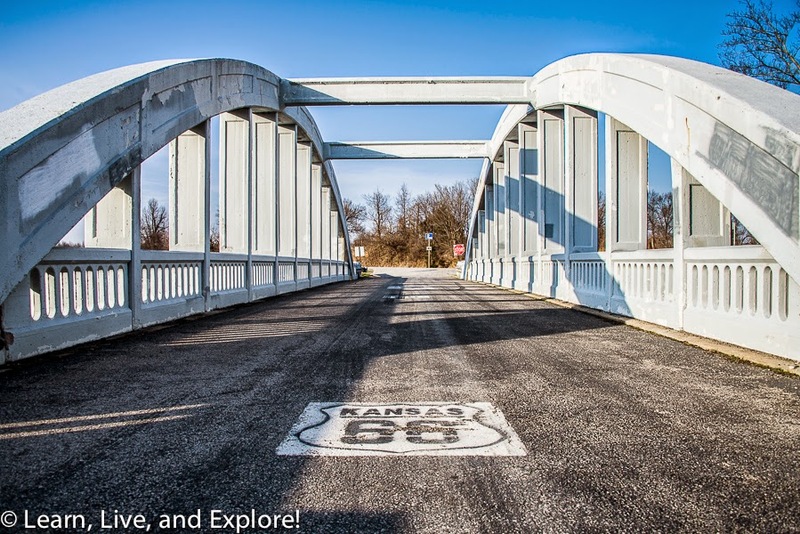 This bridge, built in 1933, is one you should not miss - for the architecture and for the sheer history of this piece of 66. If I recall, it was a bit of a challenge to find the bridge, but it's near Hinton, OK. 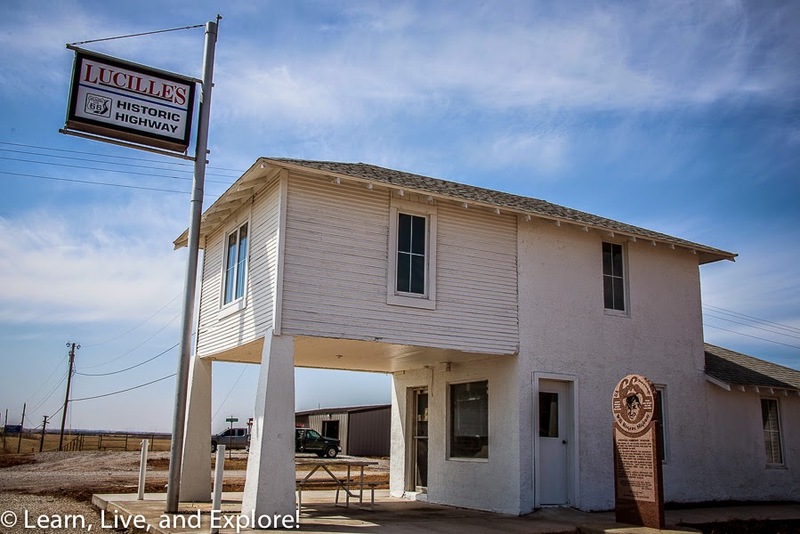 This structure was once a service station along Route 66, known mostly for it's most popular owner, Lucille Hamons, who ran the station for 60 years. 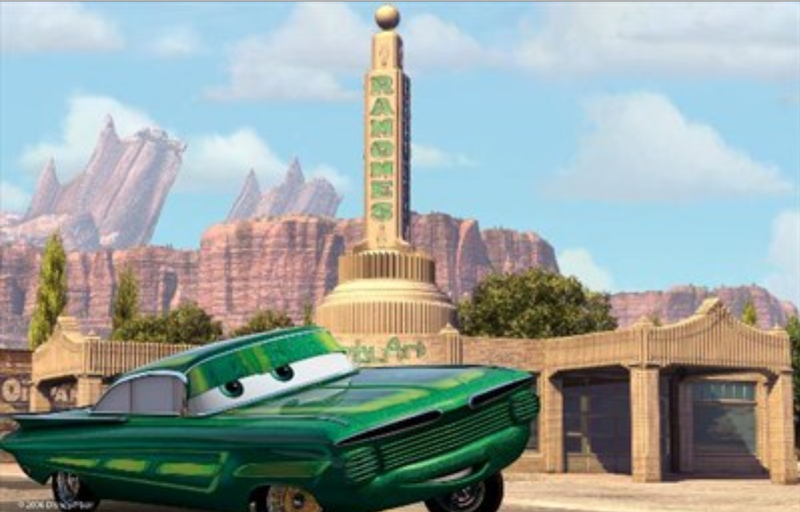 Lucille became a Route 66 icon and was nicknamed the "Mother of the Mother Road." The building is notably one of only two Route 66 service stations with the second story over the station porch area. In the town of Weatherford, there is a newer Lucille's Roadhouse that is a restaurant. Don't get confused. 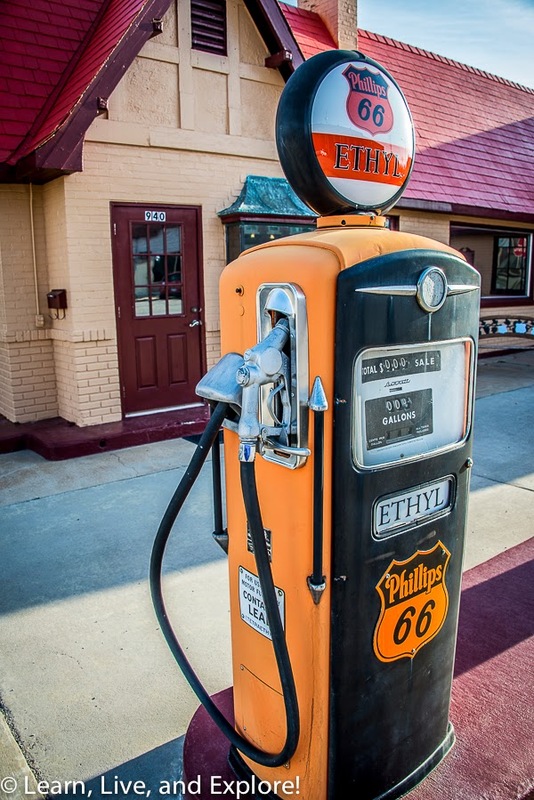 The original service station is east of the town on a frontage road for I-40. 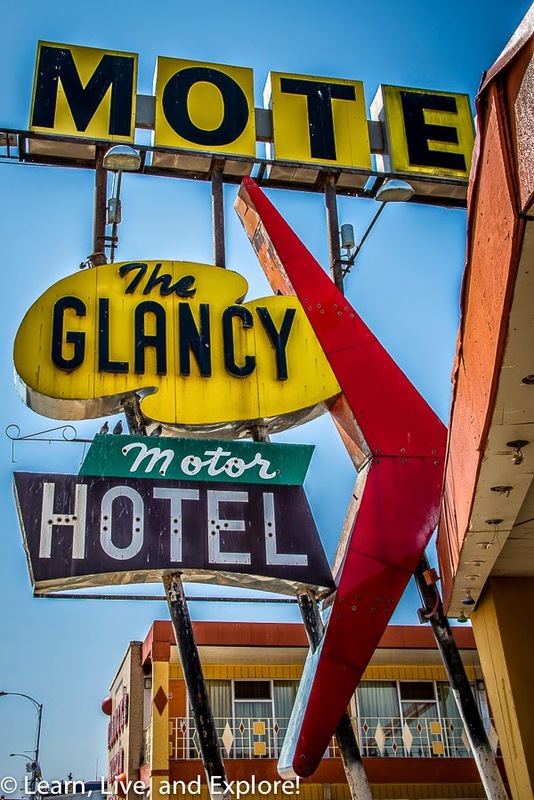 The decision to stop at The Glancy Motel, 217 W. Gary Blvd., was made because of the great neon sign in front of this 1950s Route 66 icon. 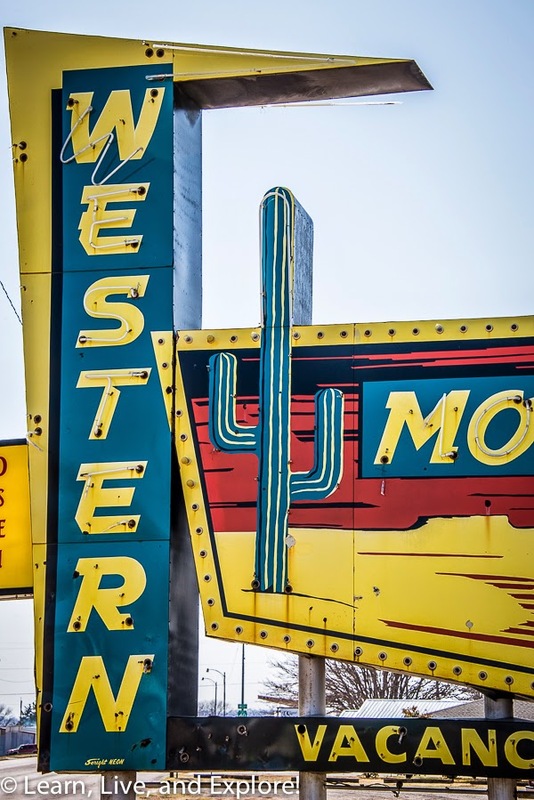 Adding to the neon sign photo collection is the one in front of the Western Motel. I couldn't find much of the history of the motel, unfortunately. 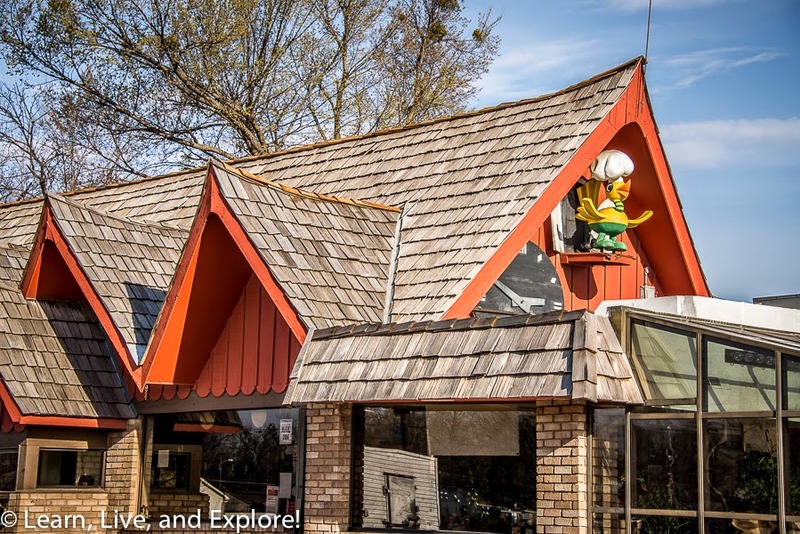 It is located at 315 NE Hwy 66. 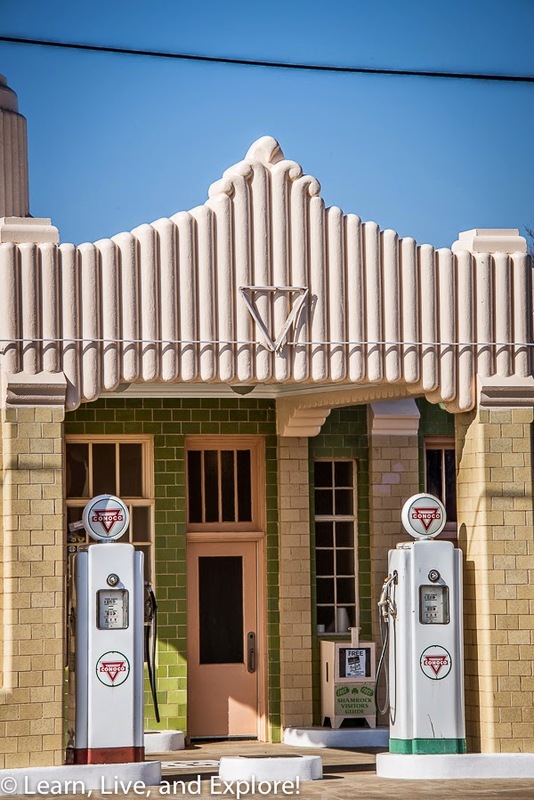 This deco style service station and cafe may be recognizable to some, not in its form in the photos below, but as how it was depicted in the popular Disney animated movie "Cars." 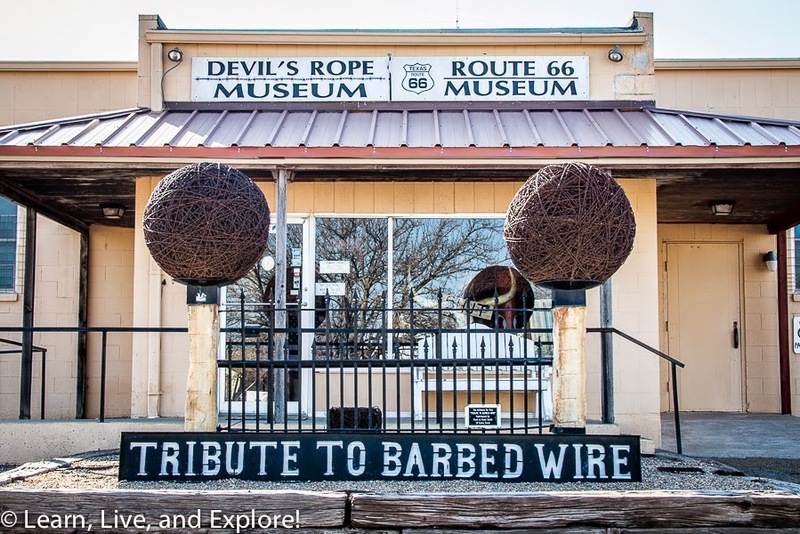 This station is located just off I-40 at 101 East 12th St.
Not really a Route 66 historical site, but who can pass up two giant balls of barbed wire? 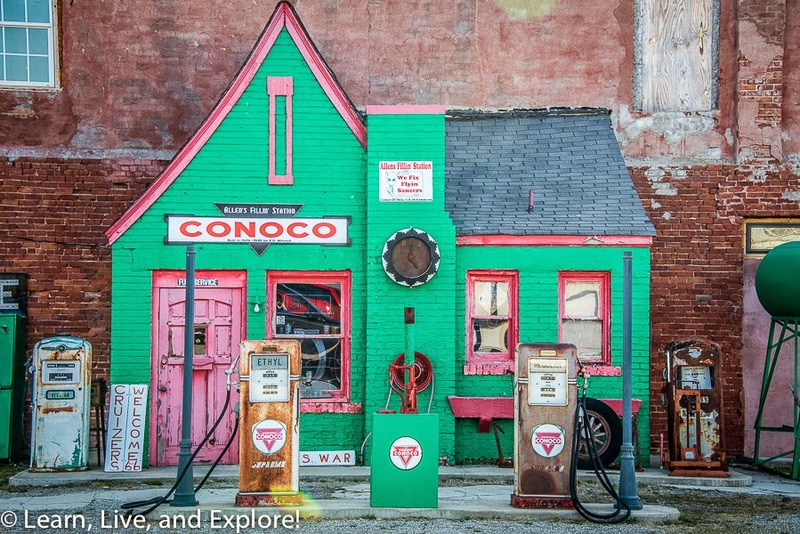 If you want to see this in person, head to 100 Kingsley St.
Just down the street from the Devil's Rope museum, at 219 Gray St., is a restored 1928 service station. 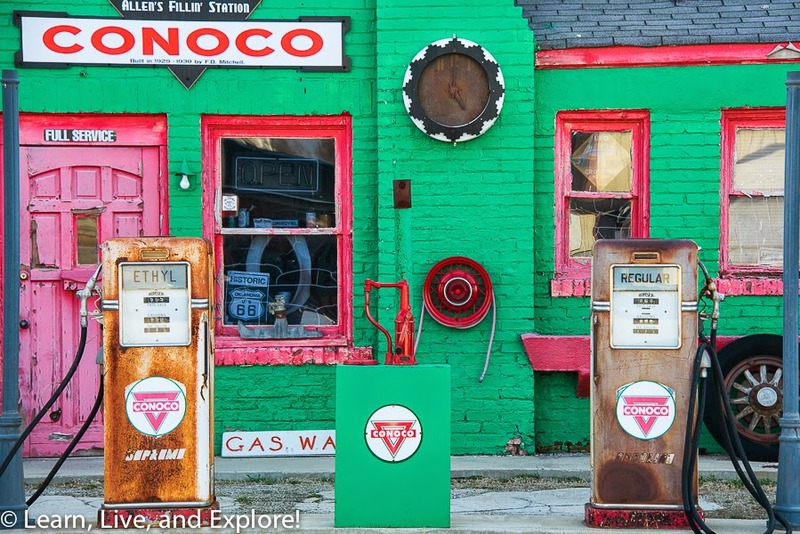 I read that this was the first Phillips Petroleum station to operate in Texas. The station was designed in the "cottage style" popular at the time. 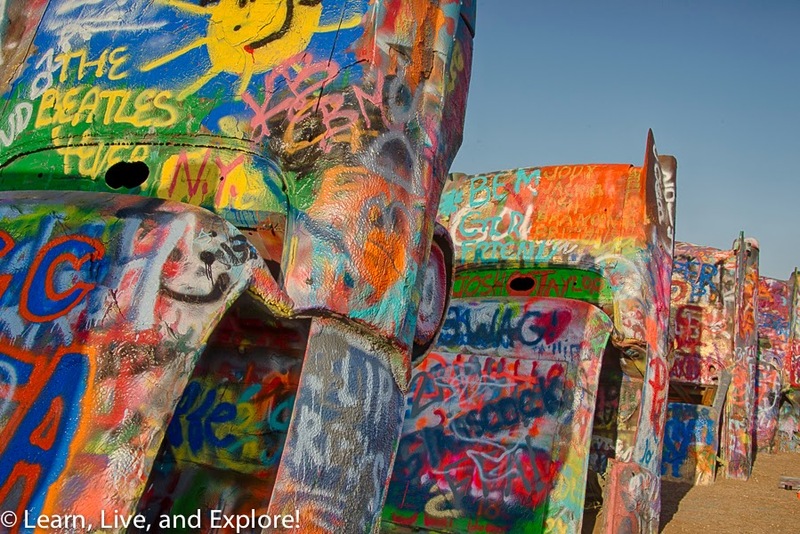 There is no question that you must stop to see 10 old cadillacs buried nose down in the Texas dirt of a cow pasture just off I-40 at exit 62A. This location isn't the original burial spot from the 1970s, having been moved for greater convenience in the 1990s. Getting to the cars requires a short walk in the dirt from the parking area. 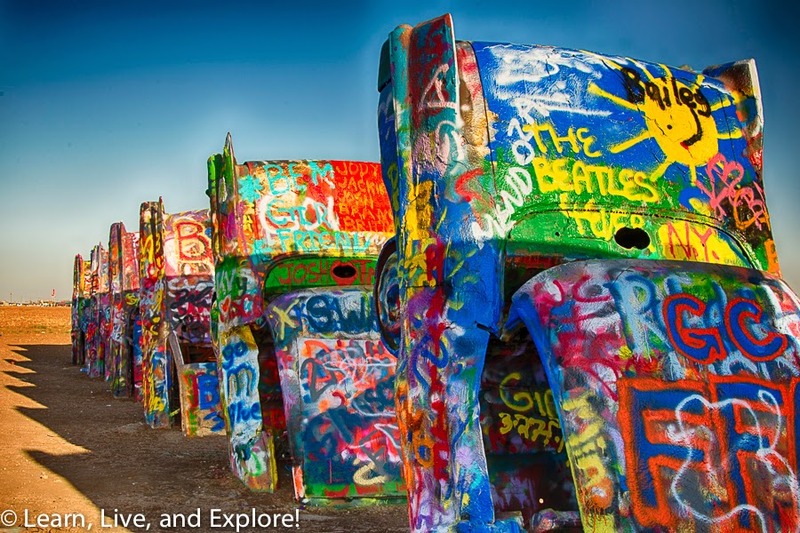 Most people like to come equipped with spray paint, as this art installation encourages tasteful additions to the design, therefore, always presenting you with a new visual experience every time you visit. Just a fun sign to mark the road trip...follow exit 23 off of I-40. 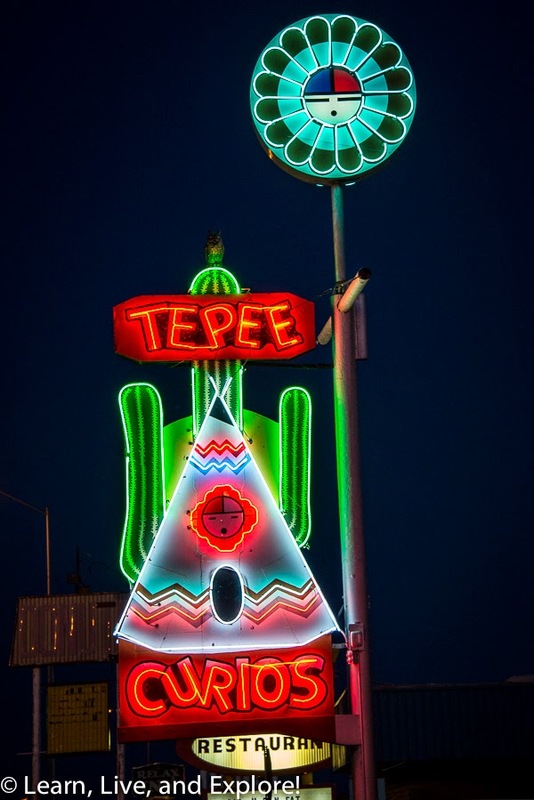 The final stop on this day was Tucumcari, New Mexico - known for its strip of neon motel signs that light up the town. 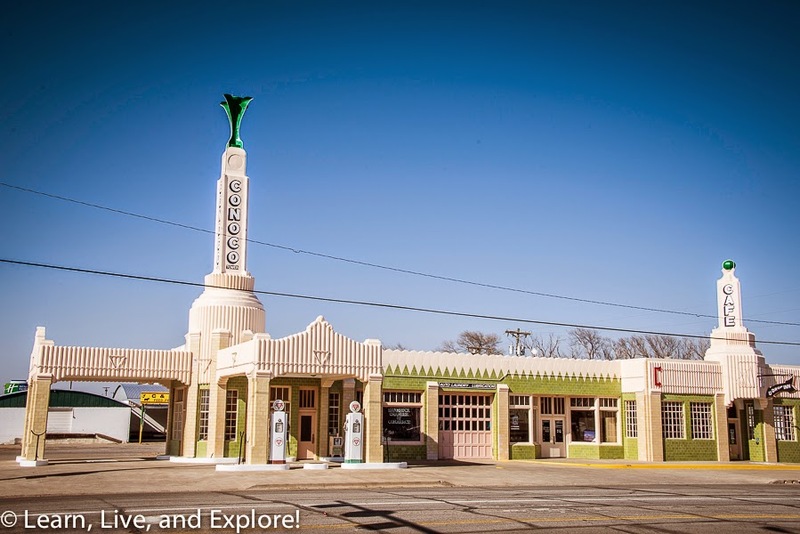 This is a great opportunity to get a feel of what the traveler experienced during the peak time of Route 66 travel. 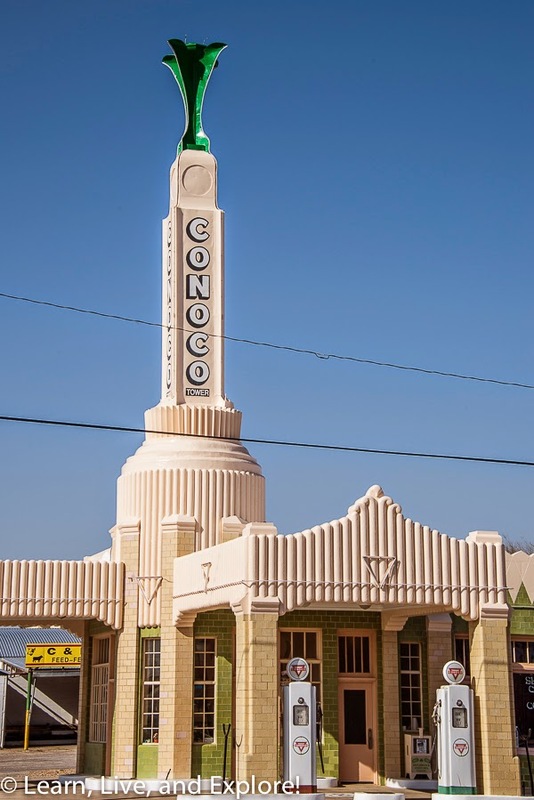 It is my understanding that Tucumcari gained its popularity from a successful advertising campaign that gave it a reputation as the place to stay for the weary traveler. 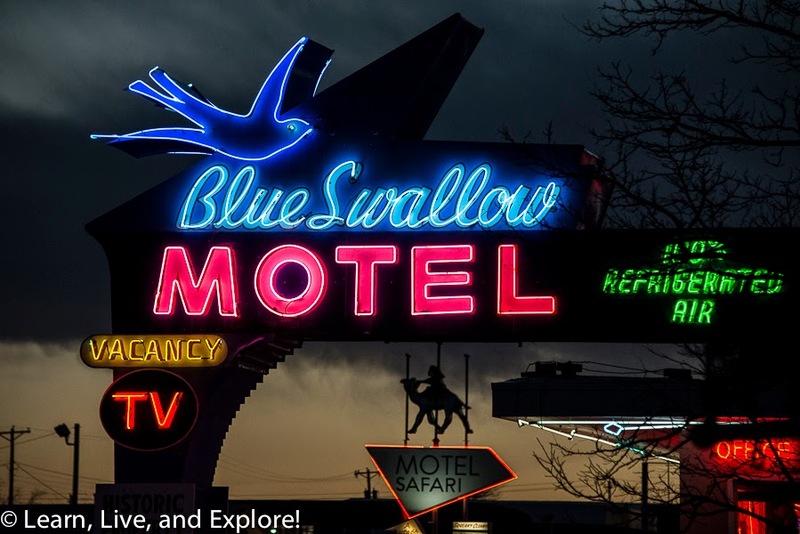 One of those places to stay is still in operation today: the Blue Swallow Motel, built in 1939 and renovated to maintain the ambiance of the original hotel.